At 36 years old with two small children I was diagnosed with Young Onset Parkinsons Disease. This is the account of my journey from onset to diagnosis and beyond. I have two choices. I can sit and feel sorry for myself and get worse fast, or I can dust myself off and fight. I think l will choose the latter! So bring it on Parkinsons, bring it on! If you haven't heard about Neurologic Music Therapy, you need to! A simple online search will provide some pretty spectacular information and amazing video's of how it's helping countless people with Neurologic conditions and especially people with Parkinson's. I'll start with how Music has helped me in my journey with PD. Like many of you reading this in fact likely almost all of the Parkies reading this I don't do well in the sleep department. Insomnia and sleep issues in general are a common symptom of PD. I sleep about 125 hours a month. Yes you read that correctly, a MONTH. I average 4 hours of sleep a night, and about once or twice a month I'll get lucky and I'll pull off a 5 or a 6 hour night. However, up until last fall I was only getting about 2 hours of sleep a night, sometimes 3. Functioning on 2 hours sleep is a difficult task. So I started reading a lot and hearing a lot about Music Therapy. So in the fall of last year I made a decision to give up television something I typically sat in front of in the evenings to wind down after the kids went to bed. I started playing guitar again after about a 20+ year break (I was never really that good at it back then, but enjoyed it) I started teaching myself how to play the fiddle, something I always wanted to learn and I turned the garage into a music room which I called "Corner Jam". Much to my surprise in just about a week my 2 hours of sleep started to turn into 4. I get that 4 hours sleep doesn't sound like much but in comparison to 2, that's HUGE. I wondered if it was a coincidence that going to play music in the evenings as opposed to watching TV was why I was getting more sleep, so I played with it a bit. Randomly I'll not hit the garage after the girls go to sleep but will sit on the couch to watch something. On those nights, every single time, my sleep decreases. I asked my movement disorder neurologist and his response was "it's no coincidence, music therapy is huge, keep playing instruments as long as your hands will allow you to!" Now sleep aside, playing music is also a great thing for memory and cognitive function, can even help with freezing and gait and also anxiety. When I have a guitar in my hand or the fiddle, or whatever instrument I choose in the moment I get lost. All the worries of PD and life slip away and I feel happy, content and at peace. I even started to write songs, thanks to a bit of a reverse psychology push from a friend who's an amazing singer songwriter, Mr. Cam MacMaster, originally from PEI but now a US resident with his lovely wife and daughter living in Nashua, NH. He has encouraged me to write (which is very therapeutic in itself), given me great tips and advice which are much appreciated. Check out some of his music, he's awesome: https://www.youtube.com/playlist?list=FLOi4OqStxCpRNMkAwHdPfDA I've also been blessed with a very talented musician as my best friend Joseph (everyone calls him Joe, but I've always called him Joseph, he teases me that I'm his second mother) and he encourages me daily to keep playing. 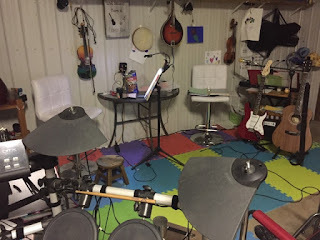 He also has a recording studio in his house and we've had a bit of fun attempting to record some songs I've written, although I don't seem to record well, intimidating process I suppose. So I'm grateful to these two men, two friends who support me and encourage me to play. I've always been a believer in thinking outside the box when it comes to therapies and treating PD, sometimes the things you would never dream could help can be huge! Try everything, if it's not your thing, or it doesn't help, then move onto something else because we are all different. Find your "thing", Music & Horseback riding are two of my favorite and most beneficial treatments, what are yours? Here in little PEI we have some great services and programs for people with PD. 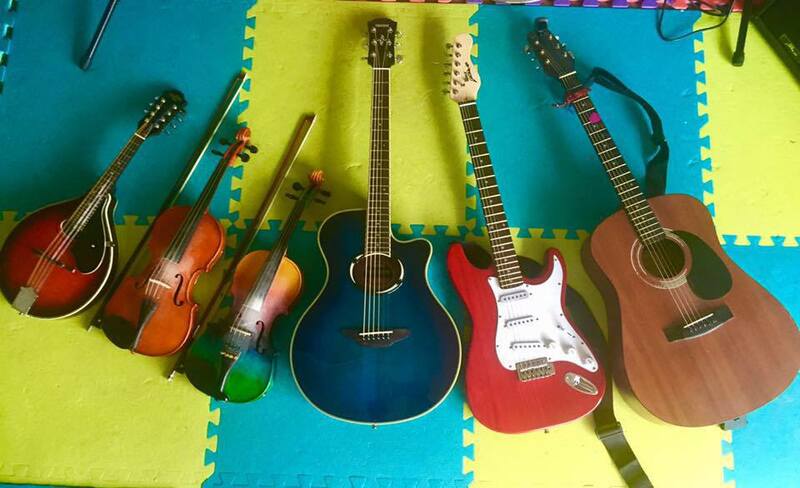 One of them is a Neurologic Music Therapy class every Thursday that we call "Treble Tremors"! Our Neurological Music Therapist Shonna, helps us maintain our voices & strength, something that is a common issue with the disease among other things and we have alot of fun. I'm pleased that she was willing to do a bit of writing for this post. So I will end with her words! Hello! 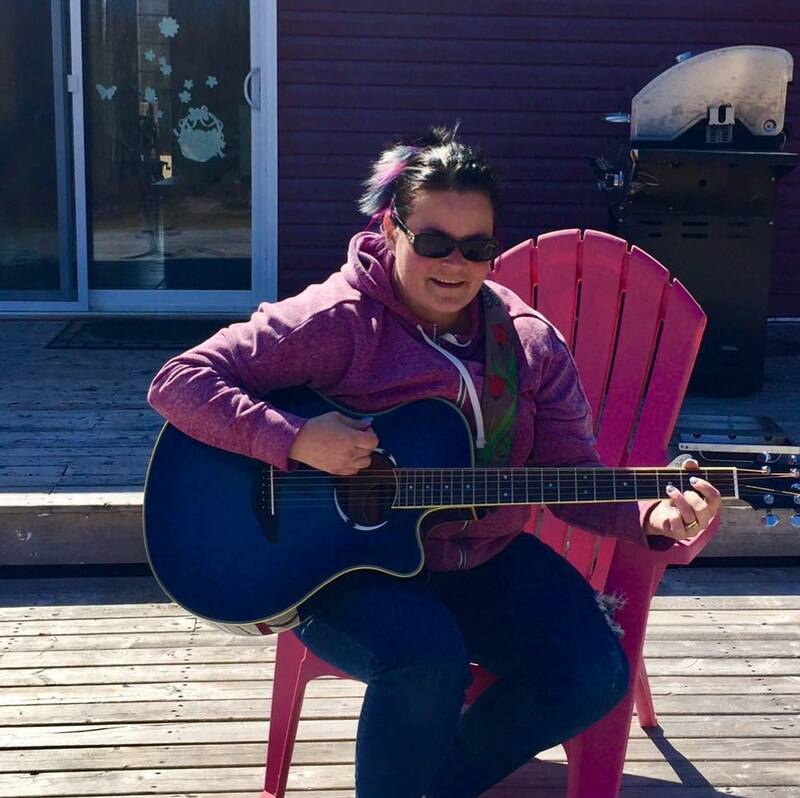 My name is Shona Pottinger, and I am a Certified Music Therapist (MTA) working in Charlottetown, PEI. I focus my practice techniques in Neurologic Music Therapy, which led to presenting for the Parkinson Support Group, PEI chapter – this is where I met Natasha. After this, a weekly music therapy group for people who have Parkinsons Disease was started. Read on to discover some VERY interesting information about how music has a unique way to help those with neurological conditions such as Parkinsons. Quite a bit of research has been going on in the science and neurology world since the 90’s, specifically with regards to our bodies and how they react to sound. It has been discovered that humans are actually wired to react to sound. The motor system – which Parkinsons greatly affects – and sound perception are entwined, so to speak. The basic fight or flight instinct humans have had since day 1 is proof of this. We physically react to sounds in a variety of ways, and our motor system is key. Hang on to this while we discuss another element: entrainment. Entrainment is a rhythm that our bodies cycles (walking, heart beat/pulse) can be pulled into with a regular pulse or beat. Dancing is a way our bodies entrain to the music we hear. With a steady rhythm or beat our bodies can sync up to that sound while walking. Dopamine levels are not as high as they should be with Parkinsons; this causes a break in the bodies ability to have precise motor movements and speech. By adding sound, the motor neurons increase their rate of firing, which in turn helps to bridge the break and in the end allows the motor system to engage. Putting these two items together (auditory stimulation in the form of rhythm and entrainment) helps those who are having difficulty in their gait and speech patterns. The rhythm helps to stimulate more firing of the motor neurons which in turn stimulates the motor movements by making up for the lack of dopamine in your system. When a gait pattern evaluation is done by an MTA, a metronome is used to provide a steady pulse. This is what can help with walking. If speech is becoming an issue, a regular schedule of vocal exercises and songs specifically geared towards the issues at hand can help increase volume and tonal quality. I hope you’ve found this informative as well as interesting. Feel free to contact me (musicforyou@live.com) for more information or any questions you may have. Cheers! My music room "Corner Jam"
Here is another great example of what Music Therapy can do! A Parkie's emotions gone wild! DNA Discrimination... Are you serious? What do you get when you cross Parkinson's & Dystonia? Dig deep & show Parkinson's who's boss!